It provides constant surveillance or communications over the same area of land or sea for weeks at a time at some 65,000 feet without landing, and now the United Kingdom’s Ministry of Defence is ordering a third of its kind... Airbus Zephyr S High Altitude Pseudo-Satellite (HAPS) unit. This new order for the Zephyr S will be delivered ready for flight trials in the summer of 2017. The precise purposes for which the UK MoD will use its Zephyrs have not been disclosed. 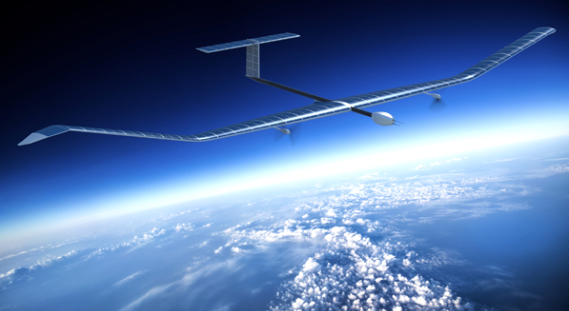 Running exclusively on solar power and flying above the weather and civil air traffic, the latest generation Zephyr S has a wingspan of 25 meters, is 30 percent lighter and can carry 50 percent more batteries than its predecessor. This enables the Zephyr S to carry heavier payloads for its surveillance and communications roles. The Zephyr S HAPS is designed to fly continuously for over a month if required before landing, being refurbished, and flying again. Replacing one conventional UAV with just one Zephyr would save 2,000 tons of fuel each year. Zephyrs are not used exclusively for military purposes, they can also be used for humanitarian missions, precision farming, environmental and security monitoring, and to provide Internet coverage to regions of poor or zero connectivity.